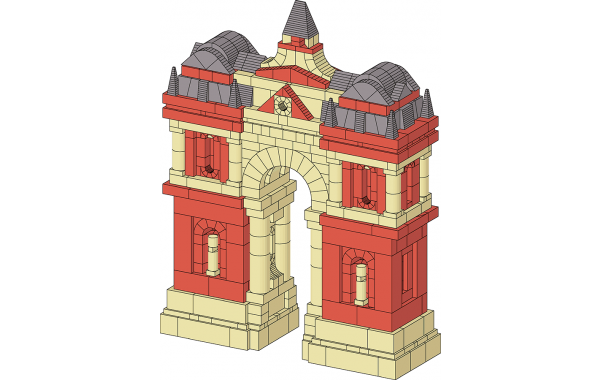 The triumphal arch building plan includes elevation and sectional drawings and is loosely based on the Arc De Triomphe in Paris. 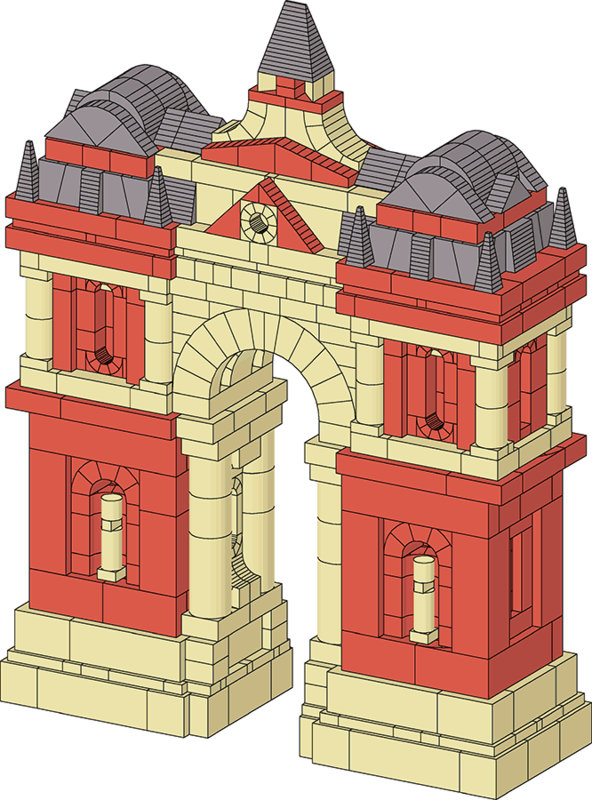 The symmetrical plan features a tall center arch and a decorative roof line. The design includes a pleasant balance of red and yellow stones.